This Stack of 3"x 4" double sided Journaling Cards are ... just stunning. Beautifully accented with Rose Gold. 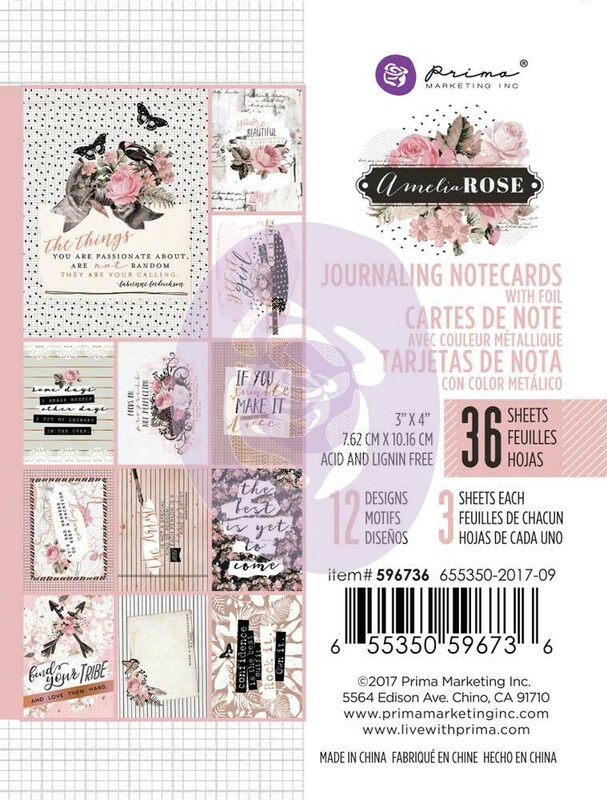 Part of the Amelia Rose Collection by Prima Marketing. Look for coordinating Tickets, Designer Papers and 12"x12" Amelia Rose Paper Pad.